Groove 107.7FM Wellington, NZ: Get Excited Groovers! The Womad 2019 Lineup will be announced tonight! Get Excited Groovers! The Womad 2019 Lineup will be announced tonight! 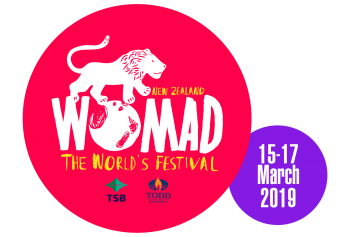 Still on a high from the 2018 festival which was dubbed "one of the best yet", today WOMAD New Zealand announced three stellar artists to perform in 2019. Grammy Award-winning Angelique Kidjo is a Beninese singer-songwriter, actress and activist. The "Africa's premier diva" will perform tracks from her 2018 release Remain In Light - a celebration of the genius of Talking Heads. The Silkroad Ensemble is a collective of virtuoso musicians from over 20 countries. The performers take time off from their roles in the world’s best orchestras and as pre-eminent academics at some of the leading music schools across the globe to tour with the supergroup.Their repertoire includes popular jazz; traditional Vietnamese, Chinese and Kazakh music; Finnish folk song; Jugalbandi and much more. All three artists are set to become festival favourites and WOMAD New Zealand 2019 is already promising to be a very special weekend.